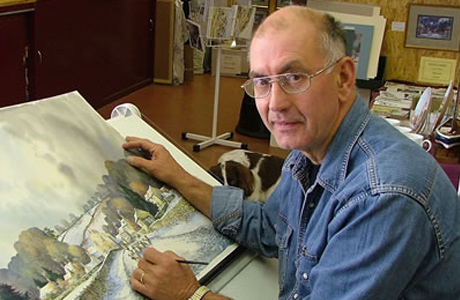 is well known for his watercolour paintings of the North Yorkshire landscape. 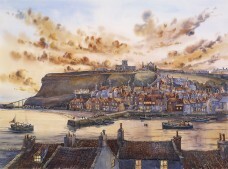 His range of subjects also include his highly collectable Nocturne paintings, studies of H.M. Endeavour and a host of local places of interest from the very popular Goathland to remote moorland farms. 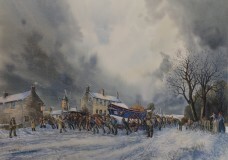 Limited edition prints, Giclée prints, postcards, jigsaws, bone china, calendars, cards and other items are all available exclusively on this official website. 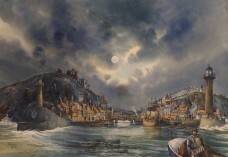 These editions are signed and numbered by the artist. The print employs a revolutionary new technique which is set to transform the fine art printing world. The combination of new inkjet printers using pigmented ink rather than dye-based ink has brought together high detail and resolution with that other vital attribute - permanency. The light fastness achieved using this combination of inks and specially developed fine art water colour papers such as the Albrecht Durer paper used here will give this print an estimated lifespan of 100 years. Visually the print is very close to the original painting in colour, tone and texture. No print or painting will benefit from hanging in the sunlight. All of John Freeman's new limited edition prints use Giclée.